I am going down with all of our cars. I am hearing that many racers from the Toledo club are going too. I have also heard that there are some QMA families from up north that have heard good things about the USAC .25 experience and will be going down to give it a try. So it should be a good number. Will be good to get racing outdoors again in March and the North Carolina facility is awesome. It is going to be some good racing down there. We reserved rooms for three families with six cars (2 x Jr Honda, 1 Jr Animal, 1 Sr Animal, 1 Sr Honda & 1 Lt 160) and I know of at least two other families from Tampa that are coming up too. We will be there with 4 cars between 3 different families. Cant wait!!! Sounds like quite a large bunch from OH, MI, and IN. We can't wait to see all you guys in NC!! Looking forward to a good time with everyone. We work really hard to keep NCQMA nice. Will actually be there bright and early tomorrow morning for a work day. Check out www.scottnpaula.com to see our family and say hello to us. You can also check out www.gogavingo.com to see Gavin's site while his real site is being built. It may be a little chilly here, but we are sure to have a great day of racing!! BTW, on our the track website, there are the rules that USAC has for midget madness. It is on the main page. You can open and print. It is a PDF. Looking forward to racing at NCQMA!!.. Drivers are excited to get to another USAC national style race. Sounds like some teams from Ohio are going down to run some weekly races for practice. This is going to be a great event! Thanks Paula for mentioning the PDF on your site! It has all the information we have been looking for so we can firm up our travel plans. Looks like there will be a great turnout. Now that he's out of rookie, Noah's excited to race with the drivers he watched with awe during last year's Regionals and Nationals. We have seven cars coming from rookie to Lt 160. For people that haven't been to NCQMA I am the photographer for NCQMA...you can go to my website to view some pictures from the track. I have a link on there that will show you some aerial shots of our track! 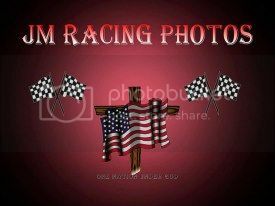 www.jmracingphotos.com Hope to meet alot of new faces next weekend!! It should be a really good event to watch! !